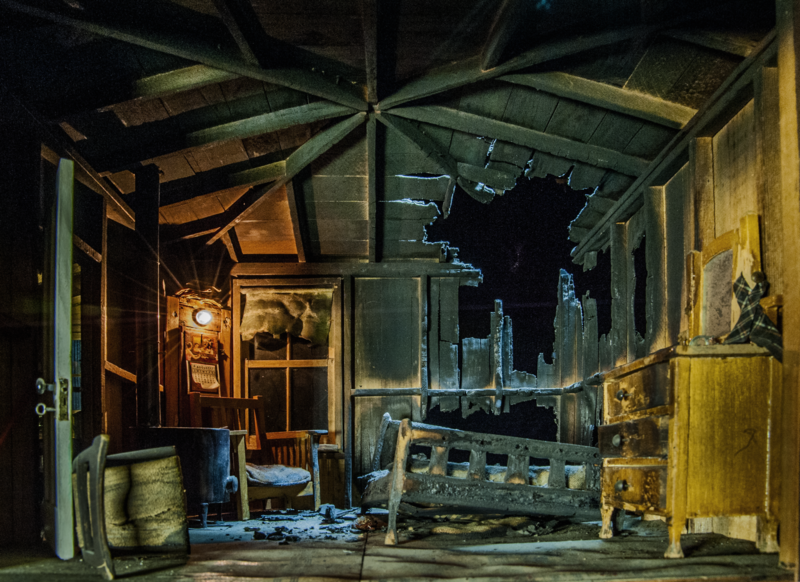 Frances Glessner Lee, Burned Cabin(detail), about 1944-48.
Credit Collection of the Harvard Medical School, Harvard University, Cambridge, MA, courtesy of the Office of the Chief Medical Examiner, Baltimore, MD. Interpreting a crime scene takes skill. But in the 1940s, detectives didn't always get the training and practice they needed. They sometimes overlooked clues or destroyed evidence by accident. 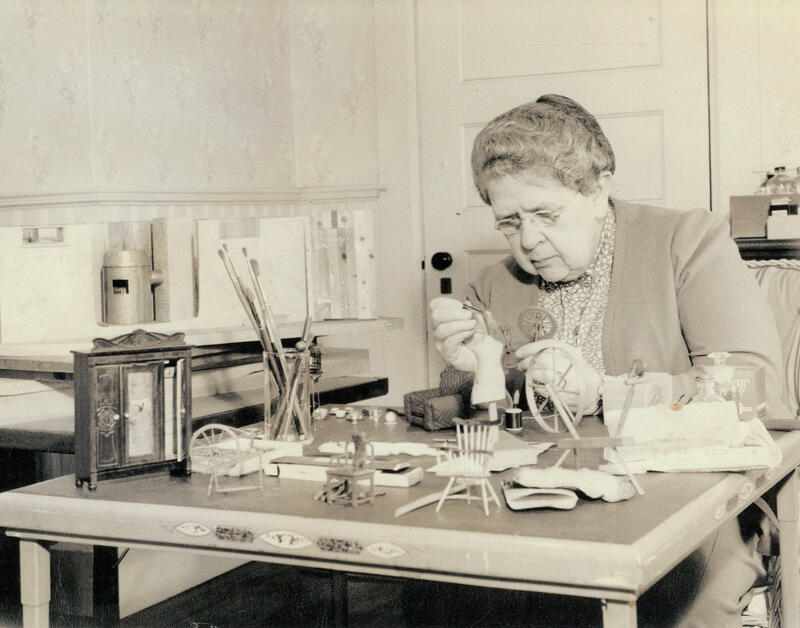 Pioneering forensic scientist Frances Glessner Lee sought to change that - using a craft that few of us associate with crime. Starting in the 1940s, Lee built miniatures that depicted a variety of deaths whose causes are unclear, in settings from kitchens to cabins to barns. Lee filled her dioramas with detail, challenging investigators-in-training to find clues. Frances Glessner Lee at work on the Nutshells in the early 1940s. “There was a police adage at the time in the 1940s, that police detectives should ‘convict the guilty, clear the innocent and find truth in a nutshell.’ And she really loved that,” O’Connor explains. Most of the surviving Nutshells reside in the Office of the Chief Medical Examiner in Baltimore. O’Connor helped to conserve them so they could travel to the Renwick Gallery of the Smithsonian American Art Museum for an exhibition. 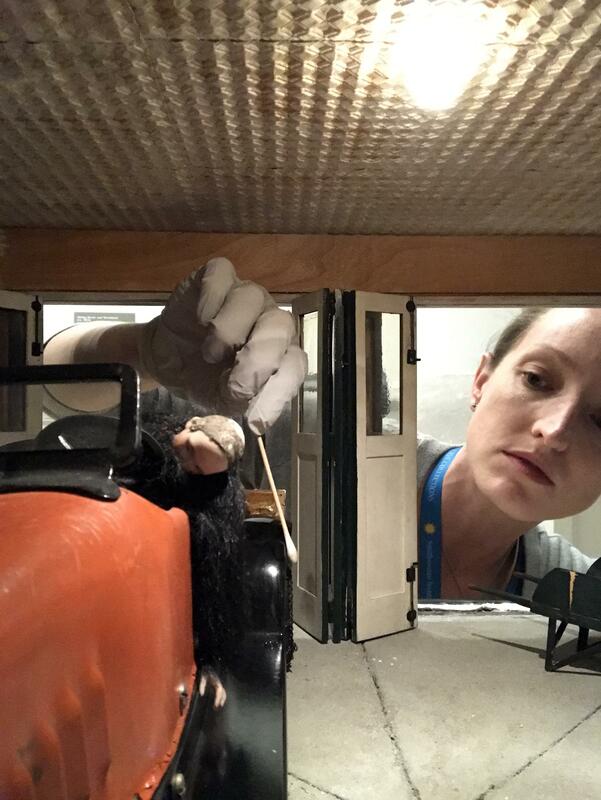 Smithsonian American Art Museum Conservator Ariel O'Connor cleans the car in the Nutshell titled "Garage." O'Connor spoke to WMUK in October at the Kalamazoo Institute of Arts, after giving a talk to the Kalamazoo Art League. In the interview, we discuss Lee’s attention to detail, the way the Nutshells were - and still are - used to teach detection, the hurdles that Lee overcame to pursue her interest in forensics and the delicate task of conserving the Studies.